Engro Corporation had another great year running with brecord revenue of PKR 184,264 million vs. PKR 175,958 million in 2014 on a consolidated basis, achieving a 4.7% YoY top line growth. The company posted consolidated profit-after-tax (attributable to owners) of PKR 13,784 million as opposed to PKR 7,007 million during 2014. In addition to the Phosphates business, concessionary pricing added to the year-on-year growth in gross profit. Furthermore, financial charges decreased by PKR 1,998 million to PKR 4,627 million. Engro Fertilizers had an unprecedented year on the back of 2-plant operations owing to continued gas supply throughout the year and implementation of concessionary gas pricing – effective 16th March, 2015 onwards. 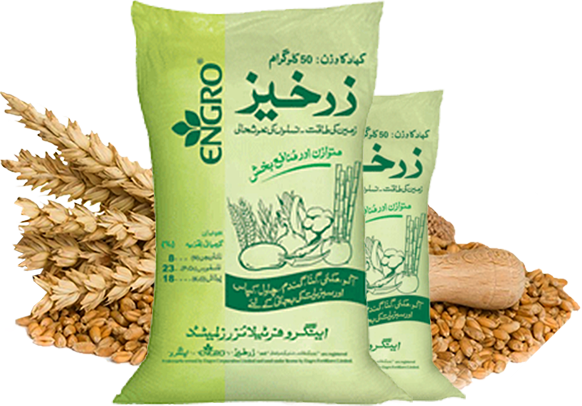 Also during the year, Engro Corporation successfully restructured its fertilizer trading and rice businesses as EXIMP was acquired by Engro Fertilizers and Engro EXIMP Agriproducts was acquired by Engro Corporation. 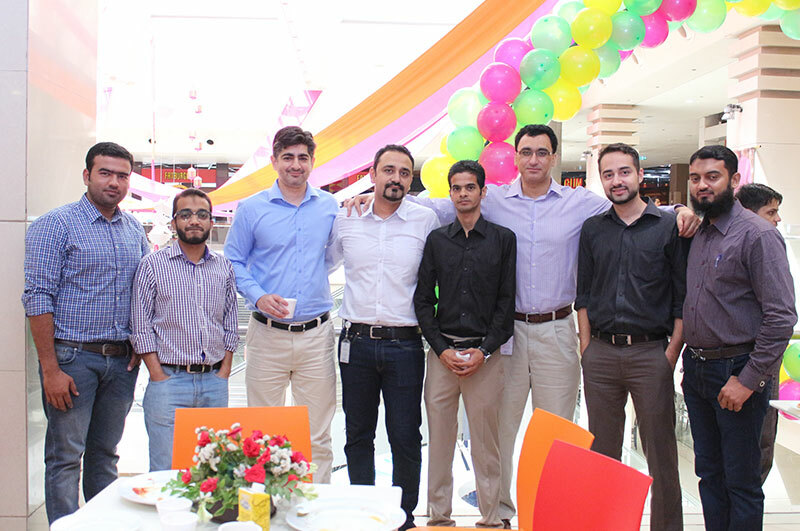 Engro Foods continued its strong display by achieving highest ever UHT market share and profitability. Engro Powergen Qadirpur and Engro Vopak continued to perform in line with their stable business models. However, the profitability was partially offset by losses in rice business primarily due to impairment loss of PKR 3,384 million booked against Property, Plant & Equipment and Stores & Spares. Also, the Petrochemicals business, in line with the bearish global commodity prices, suffered losses due to declining Ethylene-PVC price delta. However, there was some relief in the FY 2016 Budget for the petrochemicals business as regulatory duty on the import of Ethylene was reduced (from 5%) to the minimum slab of 2% effective from 1st July, 2016. This year also marked the commencement of commercial activities for the LNG terminal business thus contributing towards the Group’s profitability and alleviation of the ongoing energy crisis in the country. Also during the year, Engro Corporation divested 8.16% (93 million shares) of its holding in Engro Fertilizers through a private placement, to fuel its growth in new energy related projects. 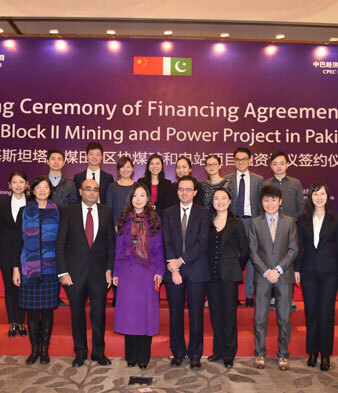 Further, major foreign financing agreements for Sindh Engro Coal Mining Company and Engro Powergen Thar were signed on 21st December, 2015 in Beijing. The company’s share also reflected the astounding growth display as Engro Corporation once again out-performed the KSE 100 Index by posting annual return of 33% (dividend adjusted) as compared to the KSE 100 Index return of 2.1%. Also, Engro Corp’s long term rating was upgraded to AA while short term rating was maintained at A1+. This year, Engro celebrated 50 years of its journey. The journey began back in 1965 with incorporation of Esso Pakistan, a fertilizer manufacturing and marketing operations company, whereas today Engro stands as a conglomerate with business interests in multiple sectors. Engro Fertilizers Limited continued to receive the gas allocation of 60 MMSCFD from Guddu/Mari Shallow throughout 2015 based on ECC’s decision in December 2014 in respect of the company installing gas compressors for Guddu Power Plant (GENCO II) at its own cost. The company’s overall urea capacity utilization in 2015 was 87% vs. 80% in 2014. Post enactment of the GIDC Act 2015, the company has obtained stay orders against the retrospective applicability of GIDC. However, on the request of the Government, and without compromising its legal stance, the company has paid the complete accrued amount since 2011 of PKR 15.2 Billion against non-concessionary gas supplied. Currently, the company is paying GIDC on all non-concessionary gas. The company has also obtained a stay order against GIDC applicability on concessionary gas and therefore no GIDC is being paid or accrued for concessionary gas supplied to the new urea plant. GIDC on concessionary gas is in direct contravention with the Fertilizer Policy and the company’s gas supply contracts on the basis of which the company invested USD 1.1 billion to expand its fertilizer manufacturing capacity. The company produced 1,968 KT of urea, 8% higher than 1,819 KT produced in 2014 and also produced its fastest ever 1.5 million tons of urea in 278 days. The company reported urea sales volume of 1,878 KT in 2015, 3% higher than 2014. Resultantly, Engro’s 2015 urea market share increased to 34% from 32% last year while market share in branded urea remained stable at 37%. 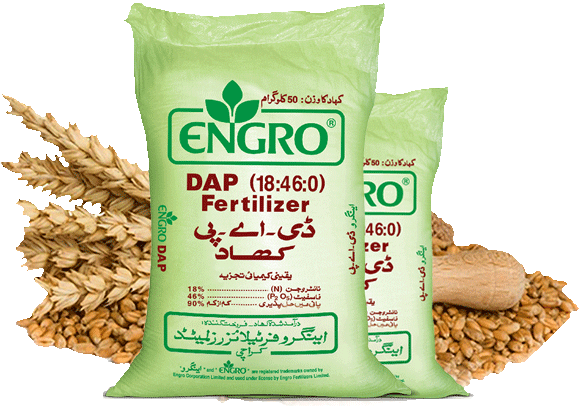 The company sold 391 KT of DAP, which constitutes a 22% market share in the industry for the brand Engro DAP during the year. With the decline in commodity prices in the world, DAP prices followed a similar trend with prices falling from USD 490/Ton (CFR Pakistan) at the start of the year to USD 400/Ton at the end of the year. The company’s blended fertilizers’ (Zarkhez & Engro NP) sales for the year increased by 8% to 135 KT compared to 125 KT during 2014 led by higher NP sales. Overall domestic Potash industry saw a decline of 16% from 2014 due to poor crop economics. However, the market share of Zarkhez increased to 51% (42% in 2014). On a consolidated basis, sales revenue for 2015 was PKR 88,033 million which was higher by 43% as compared to the PKR 61,425 million last year. Increase in sales revenue is primarily due to the addition of Phosphates business, revenue for which clocked at PKR 23,606 million in 2015. Gross profit for the year 2015 was PKR 32,309 million as compared to PKR 22,603 million for the same period last year. In addition to the Phosphates business, concessionary pricing added to the year-on-year growth in gross profit. Furthermore, financial charges decreased by PKR 1,998 million to PKR 4,627 million during the year mainly on account of deleveraging in 2014, refinancing & repricing of debt in 2015 and declining interest rates in the country. Other income reduced to PKR 1,781 million from PKR 2,449 million in 2015 due to payment of GIDC and dividends during 2015 resulting in lower surplus cash vs. last year. The consolidated profit for the year was PKR 14,819 million, 81% higher than last year’s profit of PKR 8,208. During the year, PACRA has upgraded the long term credit rating from A+ to AA-. The short term rating was also upgraded from A1 to A1+. The Specialized Tea Creamer category witnessed multiple players jockeying for market share through heavy trade discounting as well as the entry of a new competitor backed by significant brand investment. Despite these challenges, Tarang remained steady on its path of growth, registering double digit growth on key SKUs. In 2015, after a successful year in terms of market share growth in 2014, the company focused on consolidating its position of market leadership within the UHT category. In light of resurgent competition in all categories, the company focused on strengthening its core competencies vis a vis product quality, communication, differentiation and distribution expansion. These efforts contributed towards robust top line and bottom line growth. The company reported PKR 49.8 billion in revenue vs. PKR 42.6 billion reported last year exhibiting a growth of 16.9%. Brand development based on relevant consumer insights and an efficient product mix remained key elements in the achievements of growth in topline of 2015. Gross margin improved from 18.8% to 24.2% due to declining commodity and fuel prices as well as implementation of a number of efficiency projects. On an overall basis, company’s profit increased from PKR 889 million in 2014 to PKR 3,162 million in 2015. During the year, the company achieved highest ever UHT market share of 57% in September 2015 as compared to previous year’s high of 55% in November 2014 as per A.C. Nielsen. The Specialized Tea Creamer category witnessed multiple players jockeying for market share through heavy trade discounting as well as the entry of a new competitor backed by significant brand investment. Despite these challenges, Tarang remained steady on its path of growth, registering double digit growth on key SKUs. Brand health and distribution measures increased, enabling the brand to consolidate its position as the largest brand within the total UHT dairy market. 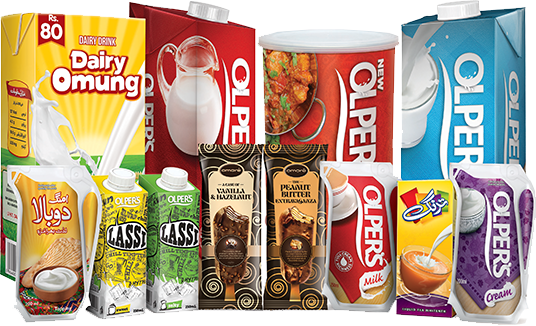 Olper’s continued its trend of impressive growth over the past year despite competitive pressure. The engine of growth for the brand remained the portion pack, which grew on the back of improved distribution and differentiation against competition due to its innovative packaging. The brand remains the only player in the category with unique SKUs in all sizes, and is expected to continue its upward trajectory in the years to come. Dairy Omung has recovered from the multiple challenges it faced in the past validated by the strengthened leadership in the all-purpose economy category. The turnaround is attributable to improved availability of the product backed completely by the benefit of a single minded message that has resonated well with the consumers of the brand. The Dairy and Beverages segment reported a topline of PKR 47 billion registering a growth of 17.5% over last year. Segment contributed PKR 3,227 million to the company’s profitability this year registering a growth of 88.7%. 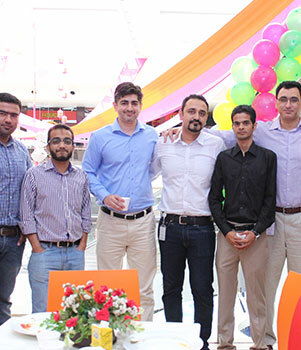 During 2015, the Engro Foods ice-cream and frozen desserts business further built on its success in 2014 and maintained volume recovery and new product development in the brand portfolio. Innovations played a major role in achieving success in 2015 with the Funsticks portfolio reviving stagnant SKUs and a co-branding partnership with Warner Bros. to launch Omore Tom and Jerry bringing excitement in the kids’ category. On the sales front, Omore continued to invest in the market by deploying new freezers and tapping into new geographical territories with sustained focus on retailer and distributor ROIs to boost sales volume. The Ice Cream & Frozen Desserts segment reported revenue of PKR 3.5 billion, a growth of 18.5% over last year. The segment managed to reduce its loss from PKR 292.5 million in 2014 to PKR 75 million in 2015. The company’s Nara Dairy Farm continued to remain a rich and nutritious source of quality milk for their dairy segment. The farm currently produces 35,095 (2014: 33,108) liters per day with a total herd size of 5,429 animals of which 2,227 are part of the milking cycle. Due to improved production yield, the Nara farm significantly improved its results with a profit of PKR 12.5 million in 2015 as opposed to a loss of PKR 31.4 million in 2014. JCR-VIS has assigned a medium to long term credit rating of “A+” (Single A Plus) to Engro Foods’ Sukkuk issue. The rating reflects the company’s financial and management strength and denotes a low expectation of credit risk and the capacity for utimely payment of financial commitment. The company is also currently running a commercial pilot to assess the consumer staples market. The company under this commercial pilot launched consumer staples brand for wheat, Onaaj, in end August. The company went through a major restructuring in April 2015 to reduce its fixed costs and increase competitiveness. In addition, changes were instituted in the company’s business strategy to reduce commodity price risk exposure, improve operational efficiencies and improve margins. In the year 2015, the company achieved a total husking of 18,415 KT of paddy and processed 8,519 KT of rice which represents a decline of 69 % vs. 2014. The company exported 9,951 KT of rice during 2015, a decline of 70% year-on-year (2014 Export: 33,633 KT). Processing and sales volumes were lower due to management’s decision to reduce open position taking on paddy. During the year, the company booked an impairment loss of PKR 3,384 million against Property, Plant & Equipment and Stores & Spares. Also, total NRV of PKR 325 million was booked in 2015 on stock primarily due to fall in market price and cooking issues of old crop. The company achieved a major milestone of completing 18.30 million man hours without LWI during 2015. In addition, an external quality audit by Bureau Veritas for quality re-certification was successfully completed based on which EEAP has the highest number of quality certifications amongst rice players in Pakistan. The company is also currently running a commercial pilot to assess the consumer staples market. The company under this commercial pilot launched consumer staples brand for wheat, Onaaj, in end August. After one month of product fill, marketing communication was launched to boost sales. Also, rice was launched under the Onaaj umbrella to mark the shift from B2B to B2C market. Initial response is positive with sales in line with expectation. 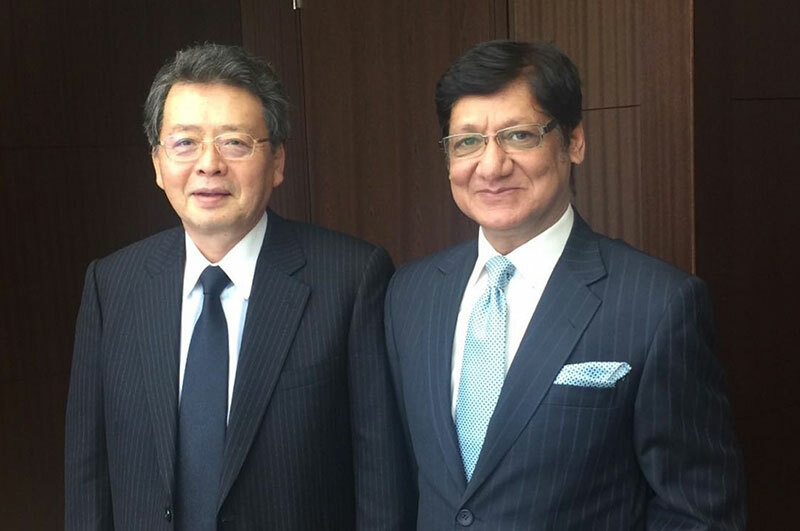 Major financing agreements for SECMC and ETPL were executed on December 21, 2015. Financial close and disbursement of loan is expected after execution of security documents, issuance of guarantee and completion of legal formalities. Engro Powergen is a wholly owned subsidiary of Engro Corporation and has been established with the primary objective to analyse potential opportunities in the Energy and Power sector and undertake Independent Power Projects based on the feasibilities of new ventures. 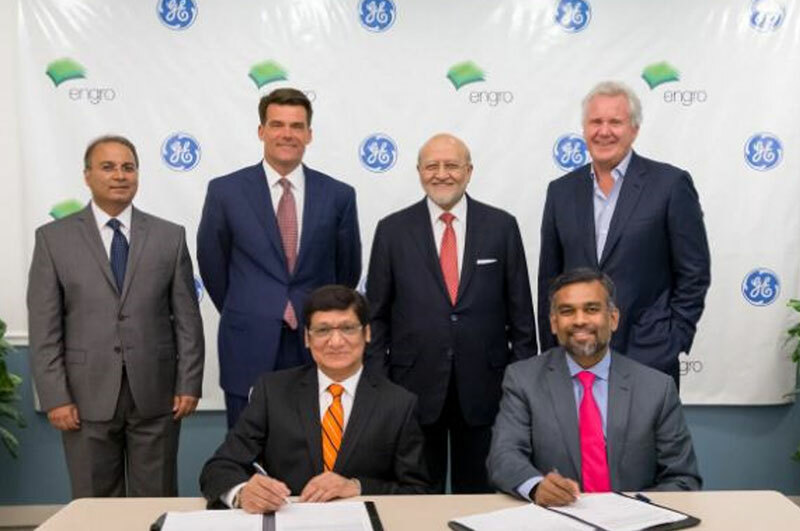 Engro Powergen owns and operates Engro Powergen Qadirpur Limited (EPQL) - a 217 MW combined cycle power plant, and has also ventured into a Thar Coal Mining project with the Government of Sindh as the majority shareholder by forming the Sindh Engro Coal Mining Company (SECMC). 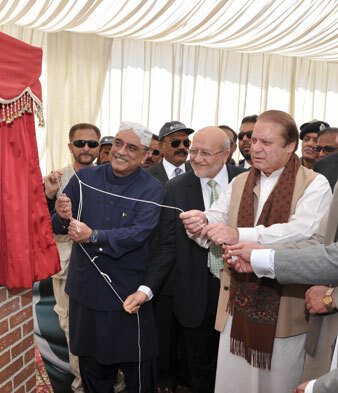 Also, Engro Powergen Thar (Private) Limited - was incorporated in 2014 to set up a 2 x 330 MW power plant based on Thar coal. 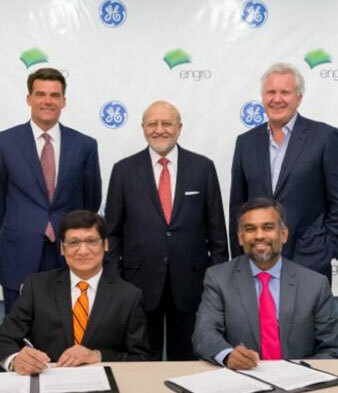 Engro Powergen is also a 45% equity partner in GEL Utility Limited (GEL), Nigeria, a 72MW triple redundancy captive power plant, which commenced commercial operations from 2014. EPQL is a unique project as it converts permeates gas (low-BTU and high sulphur content gas) which was previously being flared, into much needed electricity. Electricity generated is transmitted to the National Transmission and Dispatch Company (NTDC) under the Power Purchase Agreement. EPQL has a Gas Supply Agreement with Sui Northern Gas Pipelines Limited (SNGPL), for allocation of 75 MMCFD permeate gas from the Qadirpur gas field, for the term of the project. Due to the unique nature of fuel supply the company faces a significantly lower risk of gas curtailment. Although the existing source of gas supply from the Qadirpur gas field may deplete over the life of the project, the company is isolated from the effects of gas depletion as its agreements allow it to comingle fuel i.e. run on both gas and HSD. Further under the terms of the Implementation Agreement, the Government of Pakistan is obligated to reimburse the company for fuel conversion costs and subsequent operations on alternate fuel as a gas depletion mitigation option. Subsequently, the company has commenced work on finding a long term alternate fuel option. During 2015, EPQL demonstrated a billable availability factor of 99.7% compared to 99.9% last year. It dispatched a total net electrical output of 1,424 GWh to the National Grid demonstrating a load factor of 76.7% compared to 92.6% last year. The decrease in load factor this year was primarily on account of a planned major inspection activity carried out in April/May 2015. This maintenance activity is carried out after every 6 years of plant operations. The Plant also conducted planned outages in 2H of 2015 on account of annual turnaround of Qadirpur gas processing facility and other maintenance activities. All these planned outages were billable to the power purchaser under the PPA and were completed well within the allocated time allowing the Plant to come back online well before schedule. For 2015, EPQL’s revenue was PKR 13,354 million compared to PKR 12,041 million last year. The increase in sales revenue is mainly on account of retrospective billing of Gas Infrastructure Development Cess pertaining to 2013 and 2014. Gross profit for the year was PKR 2,465 million against PKR 2,702 million last year. The decline in gross profit is attributed to higher planned outages and lower demand due to grid issues this year. Other income this year was recorded at PKR 7 million compared to PKR 154 million in 2014. Last year’s other income mainly represents reimbursement for procurement of new rotor through insurance coverage. Improvement in working capital position, lower running finance costs and timely payments to the fuel supplier helped to reduce financing cost this year which stood at PKR 2 million compared to PKR 579 million last year. Overdue from NTDC stood at PKR 1,691 million as on December 31, 2015 vs. PKR 1,210 million as on December 31, 2014. Similarly overdue amount payable to SNGPL on December 31, 2015 was PKR 583 million vs. PKR 232 million in 2014. The company earned a net profit of PKR 1,797 million for 2015 as compared to PKR 2,021 million last year. Commercial operations of GEL were achieved in November 2014. This was preceded by Engro’s O&M team taking control of the facility. During 2015, the O&M team deployed at GEL plant successfully completed one year of operations. The plant achieved an annual availability of 99.95%, exceeding the bonus availability target of 98% and completed 425,467 man hours with zero TRIR. Engro remains at the forefront of solving the national energy crisis by commencing groundwork on Thar Coal Project. The Thar coal field has estimated lignite reserves of 175 billion tonnes, equivalent to total oil reserves of Saudi Arabia and Iran combined and can be used to produce 100,000 MW for 100 years. Engro has ventured into both mining and power generation projects in the Thar coal field to use indigenous national resources to alleviate the energy crisis in the country. During the year, overburden removal of 3.7 million Banked Cubic Metre (BCM) was completed. EPC Contractor, CMEC, completed 80% of Basic Engineering Design which has been reviewed by SECMC and RWE Germany. SECMC team received training by Huolinhe Open Cast Mine a subsidiary of CPI Mengdong in Inner Mongolia, China. CMEC team mobilized to site for the construction of temporary site facilities and main access road for Mine and Power Plant. Determination for SECMC’s Contract Stage Coal Tariff was signed by MD TCEB on June 6, 2015. 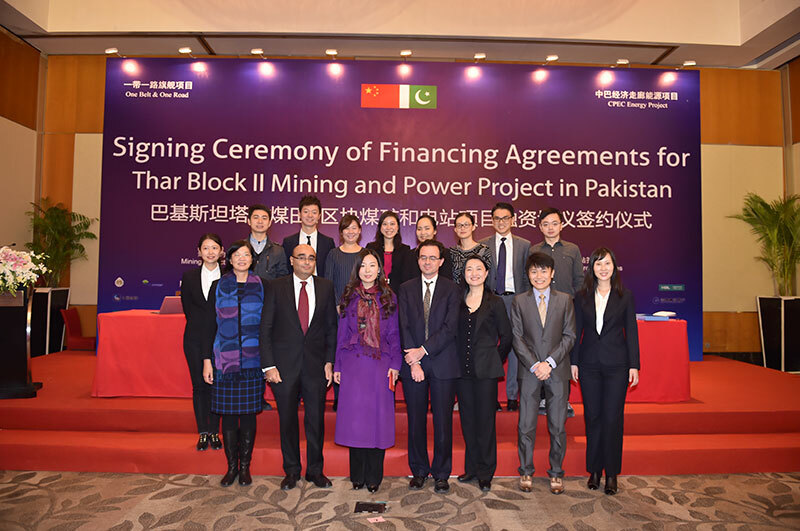 Furthermore, first-ever Coal Supply Agreement of Thar Coal was negotiated and executed between SECMC and Engro Powergen Thar (Pvt) Limited (the 2x330 MW power plant IPP) during the year. Efforts for land acquisition continued for approximately 6,000 acres of Phase-I and approximately 5,400 acres of Phase-II. SECMC has deposited PKR 670 million with Revenue Department and ~2,574 acres privately owned land has been mutated in favor of the company. Work on both Phase I & II of LBOD water supply scheme remained in progress with 68% & 38% project completion respectively. Target completion date for both Phase I & II is Sep 2017 and the project is on-track for completion. Progress on 50 Cusec effluent disposal scheme remained behind schedule. However, GoS has recently taken some concrete measures to increase the pace of work. Current completion target is March 31, 2016. SECMC is continuously monitoring the Quality & Progress of both LBOD & 50 Cusec Effluent Disposal schemes through in-house resources & by engaging reputable 3rd party consultants to ensure optimum quality of work and on time completion of both infrastructure projects. During the year, project cost for Phase I was firmed up at USD 845 million. Out of this USD 211 million is to be raised through equity while USD 634 million is to be financed through debt. Four new equity partners; HUBCO, Thal, HBL and CMEC, were inducted during the year. All the major financing agreements have been signed on Dec 21, 2015. Financial close and disbursement of loan is expected after execution of security documents and completion of legal formalities. Subsequent to year end, Sovereign Guarantee for local lenders was issued on January 11, 2016. Concrete and landmark progress was achieved during the year for financial close. EPTL obtained Generation License from NEPRA effective on March 18, 2015. Subsequently, EPTL also received Letter of Support from Private Power and Infrastructure Board (PPIB) dated April 17, 2015. 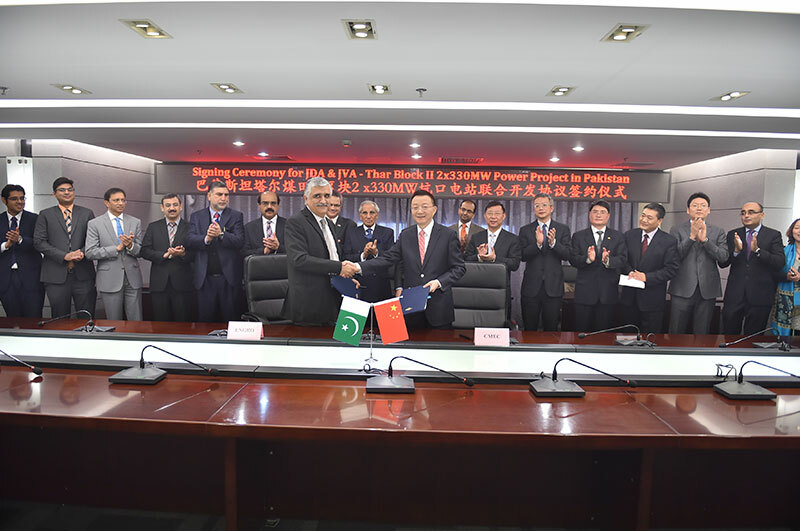 On May 4, 2015, EPTL entered into Power Purchase Agreement (PPA) with National Transmission and Dispatch Company and Implementation Agreement (IA) and Supplemental IA with Islamic Republic of Pakistan. EPTL also signed Coal Supply Agreement with SECMC on June 7, 2015. Basic engineering studies were initiated and preliminary geotechnical & topographic surveys were also completed during the year. CMEC has completed Geotechnical & Topographic Surveys.96 Bore holes (Up to 50m depth) have been done and topographic survey of Power Plant Site has also been completed. Piling test activity has been initiated at Power Plant Site by CMEC and 8 confirmatory bore holes have been completed. During the year, EPTL finalized its envisaged shareholding structure and signed financing agreements with local and foreign lenders. EPTL’s project cost is expected to be ~USD 1,108 Mn of which ~USD 831 Mn is to be arranged through debt while ~USD 277 Mn in the form of equity based on a debt to equity ratio of 75:25. Engro Powergen Limited will be the majority ordinary shareholder in the project with a proposed 51% common equity investment. 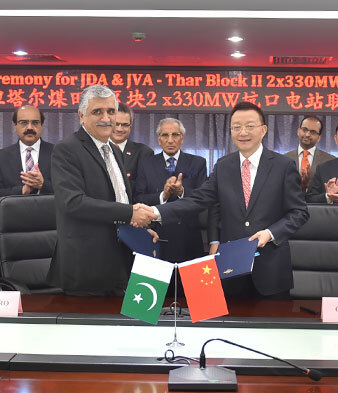 Rest of the equity is planned from the CMEC Thar Power Investments Limited and other local investors (Habib Bank Limited and Liberty Mills). 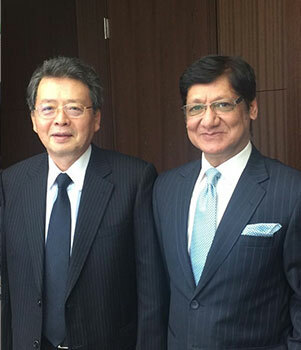 Major financing agreements were executed on December 21, 2015. Financial close and disbursement of loan is expected after execution of security documents, issuance of guarantee and completion of legal formalities. In 2015, domestic PVC market size stood at 179 KT. 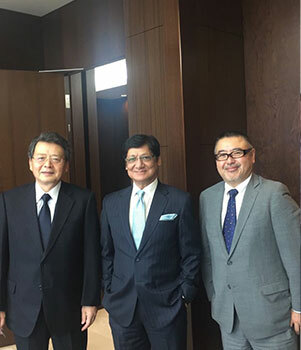 The company witnessed substantial volumetric growth in sales which was primarily driven by increased penetration in the domestic market and import substitution. For Engro Polymer, 2015 was a challenging year. The company posted a loss after tax of PKR 644 millions in 2015 as compared to a loss after tax of PKR 1,109 millions last year. The company witnessed loss, primarily due to volatile commodity prices which wiped out the impact of sales growth achieved in domestic PVC industry. Increase in natural gas price together with production issues at Chlor Alkali unit caused further dent in profitability. However, positive swing in exchange rate, immunity from retrospective payment of industrial portion of GIDC and reduction in 5% import duty on Ethylene to 2% helped the company to offset some financial burden. On the production front, the company remained steadfast to its strategy of converting maximum VCM to PVC and meeting all its PVC production requirements through in house VCM. During 2015, the company produced the highest level of PVC i.e. 161 KT, while the VCM production stood at 162 KT and Caustic soda at 98 KT. In 2015, domestic PVC market size stood at 179 KT. The company witnessed substantial volumetric growth in sales which was primarily driven by increased penetration in the domestic market and import substitution. Domestic PVC is manufactured solely by Engro Polymer & Chemicals which sells under the brand name of “SABZ”. In 2015, EPCL’s market share rose to 83% as compared to 77% in 2014. PVC Scrap imports were estimated to be approximately 6 KT in 2015 in Pakistan, which is an estimated decline of 63% from 2014. Low differential between Resin and Scrap price encouraged scrap users to consume Resin, which supported EPCL sales in the domestic market. In the domestic market, pipes and fittings constituted a significant portion of the PVC market. Strong demand from construction sector combined with increased consumption of PVC pipes in government and large scale infrastructure projects contributed towards significant growth in domestic PVC sales to 145 KT in 2015 vs. 125 KT last year. The company is channelizing efforts to enhance PVC pipes demand in the country and is working with private and public sectors to encourage use of PVC pipes in the newly developing products. EPCL will continue to direct its efforts towards development of this sector and in spreading awareness about advantages of PVC over competing materials. The company is pursuing an aggressive marketing strategy and is working extensively with its customers, government agencies, architects and construction consultants for PVC market development. The company is hopeful that these efforts will continue to bear fruit for the stakeholders in times to come. Also, improved outlook of construction sector, Public Sector Development Programme along with positive economic activity especially the launch of China Pakistan Economic Corridor (CPEC) is likely to support PVC demand in the domestic market. The company sold 83 KT in domestic Caustic Soda market during the year, 10 KT lower than last year due to aggressive market competition coupled with production issues at the plant which have now been resolved. Thus the market share fell from 36% last year to 32% in 2015. Despite these challenges, the company maintained its position as the leader in the South Caustic Soda market. Also, towards the year end the company received an interest from A.T.S Synthetic (Private) Limited to acquire Engro Corporation Limited’s 56.19% shareholding in the company. All stock exchanges were duly notified about this development. The project has yet again demonstrated Engro’s commitment towards the betterment of the country as it will enable the Government of Pakistan to alleviate the increasing natural gas shortage of the country by up to 30%. In 2014, Engro embarked on the journey to build Pakistan’s first LNG Storage and Regasification Terminal. 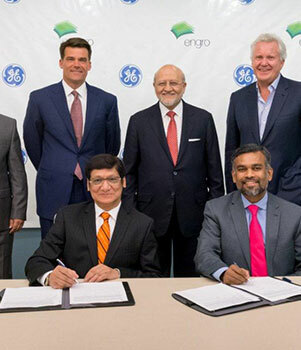 An LNG Operations and Services Agreement (LSA) was entered into with Sui Southern Gas Company Limited (SSGCL) in April 2014, whereby Engro committed to achieving commercial operations by March 31, 2015. On March 29, 2015, the company received Certificate of Acceptance from SSGCL after successful completion of tests as per LSA and initiated delivery of re-gasified LNG to SSGCL. 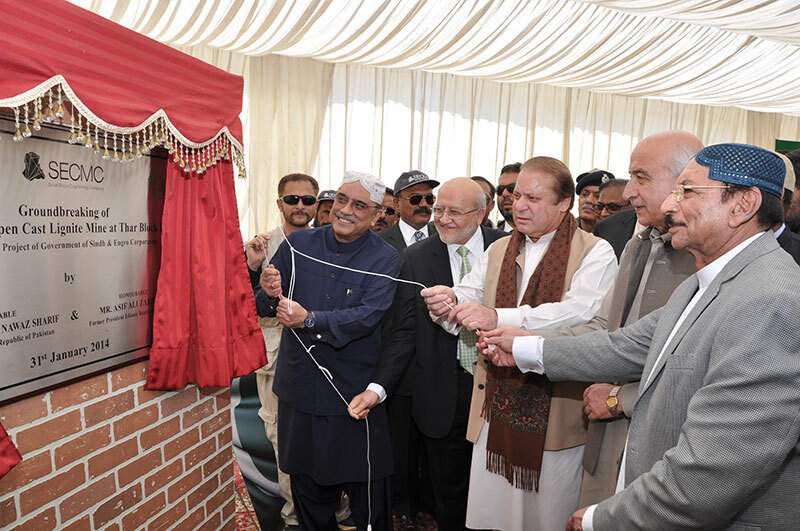 The project was constructed ahead of time on March 29, 2015, in a record time of 332 days at a total cost of USD 122 million. The project has yet again demonstrated Engro’s commitment towards the betterment of the country as it will enable the Government of Pakistan to alleviate the increasing natural gas shortage of the country by up to 30%. The Project has been built utilizing the existing infrastructure of Engro thus resulting in reduced capital expenditure as compared to other terminals across the globe and one of the lowest tariffs in the world of $0.66/mmbtu. During the year, the terminal handled 17 cargoes and 1,030,557 MT of LNG. It delivered 48.05 bcf re-gasified LNG into the SSGC network adding approximately 51 billion BTUs of energy. Further, it has maintained 100% of RLNG regasification nomination given by SSGCL. The overall service factor was 86.1% despite the use of the Floating Storage Regasification Unit (FSRU) for shuttling. The project was approved on a 75:25 Debt to Equity ratio. 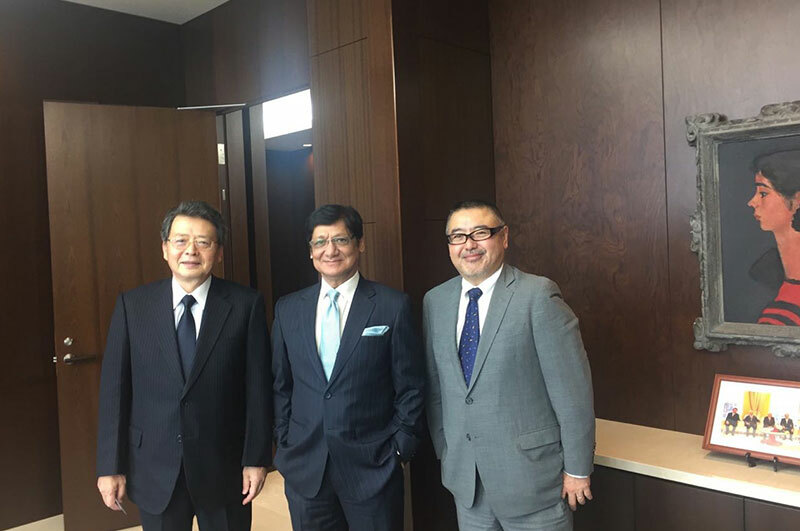 The company has signed agreements with all lenders for a cumulative USD 92.5 M term finance loan. The amount is expected to be disbursed during 1Q 2016 and the proceeds will be utilized to settle the subordinated debt from Engro Corporation. During the year, Engro Vopak completed 18 years of safe operations without any lost time injury. On the operational front, 106 KT of LPG and 691 KT of Phosphoric Acid were handled at EVTL, making these quantities highest tonnage handled for these products for a single business year in EVTL's history. Also, EVTL recorded highest ever volumes of chemical handled at site totaling to 1,286 KT vs. 1,172 KT last year. The company continued its stable financial operations with revenues of PKR 2,599 million vs. PKR 2,168 million in 2014, posting profit after tax of PKR 1,574 million vs. PKR 1,419 million in 2014.